IDLIB: Yesterday, David Cameron’s creation, the Jaysh Al-Fath which contains another group called the Jund Al-Aqsaa (Army of the Aqsaa Mosque) executed without trial three famed justices of the Syrian judicial system after torturing them and before mutilating their bodies in acts that must be called a brazen insult to the religion of Islam. 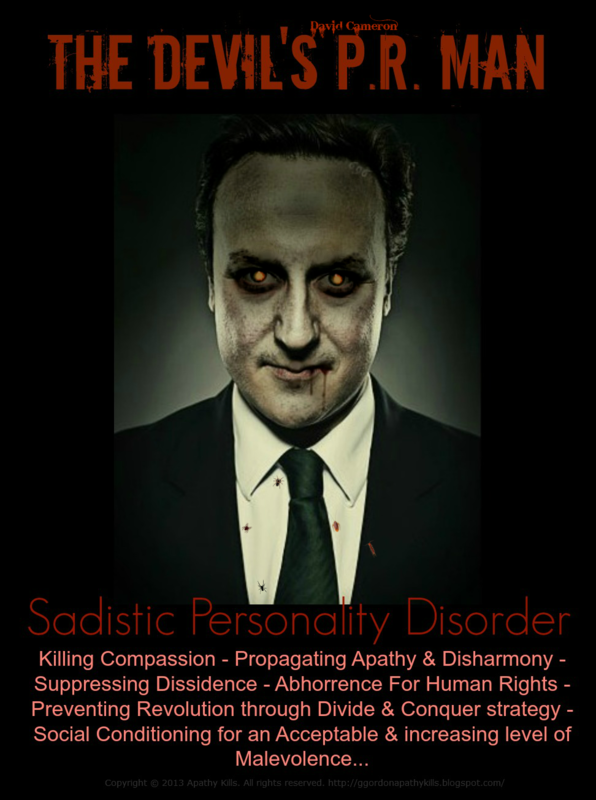 These British-trained cannibals are the offspring of the vicious blood-thirsty sociopath, David Cameron, the Prime Minister of the U.K. They were convinced to join in the new umbrella group, Jaysh Al-Fath, by English rat-spies and terrorism enablers in Adana, Turkey. The murdered judges were: Justice Ismaa’eel As’ad, Justice Muhammad Jamaal Saflu and Justice Muhammad Ziyaad Rajab. The Ministry of Justice in Damascus has condemned the torture-killing of these eminent jurists and vowed to bring their murderers to justice. They will not escape the wrath of the Syrian people and all people who value the ancient principles of fairness and equality in the courts. The murderers are known to the Syrian Intelligence Services and have been identified by witnesses who tell the government that the judges were killed because they refused to abandon their loyalty to the state and government. Despite repeated torture, which included using flames and bludgeons, they would not agree to have their forced tortured statements video-taped. They died as heroes of the Syrian people. I will publish the names of the murdering heretics when I receive them. I received notice of this event from Wael in Latakia and Arabi Souri via Email. The judges will not be forgotten and the skinning-alive of the murderers is coming to a theater near you. JISR AL-SHUGHOOR: The news blackout continues as Syrian Army units and those of volunteers continue to rack up town after town around this arterial city whose location on the Aleppo-Latakia Highway is crucial to maintaining the powerful position of the SAA on the coast and in the mountains. As of this date, the highway remains open and I can assure all readers that goods from Aleppo are being shipped off by road to Latakia. The rats inside the city are not sufficient to pose a threat to the highway. The ranting Saudi rat, ‘Abdullah Al-Muhaysini, continues to send messages about the vulnerable character of the defenses at Jisr Al-Shughoor. He can see the massing forces arrayed against him and knows his time has come. Abu Dhuhoor Air Base: The SAAF flying out of the base has struck 4 vehicles, one of which was a pickup with 23mm cannon on Monday. The number killed based on aerial assessment is 8. Sallat Al-Zuhoor (The Basket of Roses): SAAF in action here as more convoys carrying supplies to rats in both Idlib City and Jisr Al-Shughoor are intercepted and destroyed. Areehaa (Jericho): Jaysh Al-Fath, the British-created monstrosity, took 11 fatalities and over 20 wounded in an aerial assault by newly retooled Sukhoi bombers armed with the latest Russian laser-guided missiles. 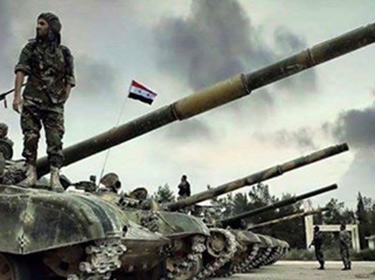 URGENT NEWS: THE SYRIAN ARMY HAS ESTABLISHED COMPLETE CONTROL OVER THE AREEHAA-JISR AL-SHUGHOOR HIGHWAY. Jannat Al-Quraa (The Heaven of all Villages): SAAF flew 3 sorties bombing the stuffing out of the rat terrorists huddling there in their miserable packs. Al-Baraagheeti Village: The SAAF killed every rat in a pack which was moving in a westerly direction. 6 vans and 2 pickups with 23mm cannons were destroyed. The carcasses of the rats were everywhere. The SAAF gave an aerial assessment of 27 killed. Nobody survived. Tal A’war southeast of the city: Attempted infiltrations by Alqaeda/Nusra into 3 SAA military strongpoints were a miserable failure. Tal Himka: Nusra/Alqaeda bolstered by 2 pickups with 23mm cannons was sent scurrying back to the hills. 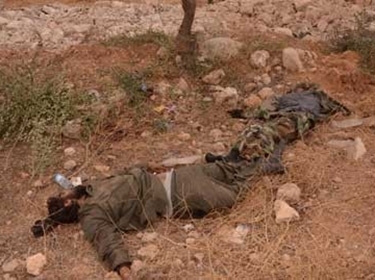 Tallat Khattaab southeast of Jisr Al-Shughoor: Jaysh Al-Fath made an attempt to assault a Syrian Army column and was annihilated as our soldiers, using new tactics, fanned out in small formations and surrounded the rodents very quickly. Kornet rockets blasted all vehicles and set the state for a turkey shoot. We can confirm the death of 63 cannibal vultures here with 7 vehicles still burning. All the rats were, evidently, foreigners and have not been satisfactorily identified. A Syrian Army spotter looks down on the Waadi Al-Ghaab and at the road which leads up to the coastal mountains and Latakia Province. I have traveled this road hundreds of times. To his right is Jisr Al-Shughoor. Jabal Sha’shabu: 6 rodents killed in a firefight with 2 pickups destroyed. I have no names. Sirmeen: The leader of Harakat Bayaan, one Bassaam ‘Abdul-Razzaaq, was killed by another rat group as he was planning to sit down in his car. An IED exploded and tore his carcass to shreds. Boo hoo hoo. Before they are cremated, this member of our all-volunteer Popular Defense Forces, shows the world what these hirsute dung beetles look like when they are very dead. Like any sportsman, he takes pride in his daily tally. They should be fed to their stinking rat mothers. At least 6 commanders from the Ahrar Al-Sham Islamic Movement, including Abu Abdurrahman Salqin, were killed, and scores of others injured as two suicide bombers blew themselves up in the northern province of Idlib. The two attackers, believed to be ISIS members, stormed a building in the town of Sarmin where the commanders held a high-level meeting, and detonated their explosives. Ahrah Al-Sham, established in 2011, is a hadline Islamic group mainly active in Hama, Idlib and Aleppo. The Movement is engaged in fierce fight against both government forces and the Islamic State in Iraq and Syria (ISIS). In March 2015, Ahrar Al-Sham, along with al-Qaeda’s Syrian Branch “Jabhet Al-Nusra”, became the backbone of Jaysh Al-Fateh (Army of Conquest); an alliance of forces that includes different rebel factions recently established to fight the Syrian Arab Army (SAA) in northern Syria. The newly-formed rebel alliance, backed and financed mainly by Saudi Arabia and Turkey, managed to take over large swathes in Idlib province, including Jisr Al-Shughour and Ariha. The Group’s worst nightmares occurred in September 2014. Up to 40 commanders from Ahrar Al-Sham, including supreme commander Hassan Abboud, were killed as an unidentified suicide bomber detonated himself in an underground bunker in central Hama. On July 12, 2015, the prestigious Washington Post published a prolonged interview with Labib Nahhas, head of foreign political relations of Ahrar Al-Sham, who slammed the Obama administration for denying the group a proper support to topple president Bashar al-Assad.